Nothing like breakfast for dinner! In a large bowl mix turkey meat, garlic, dried tomato and garlic pesto mix and the taco seasoning. 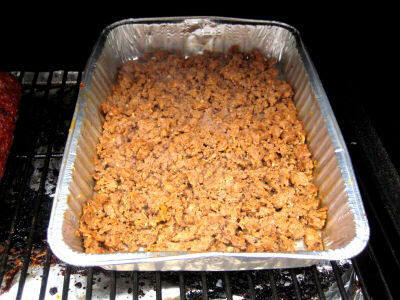 Place the taco meat into a aluminum pan and flatten it out so it takes up the entire pan. This will allow smoke to penetrate more of the meat quicker as well as speed up the cooking process. Place the meat in the smoker and cook @ 230 degrees until meat has browned. Stir and break up the turkey meat frequently. While the turkey meat is smoking, cut the bell peppers in half from top to bottom. Cut out the stem and seeds. The peppers will make a dish to fill with cheese and turkey meat. 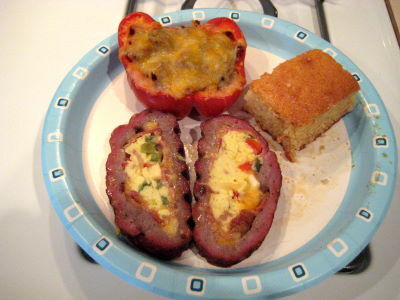 sprinkle cheese into the bottom of each pepper covering the bottom. 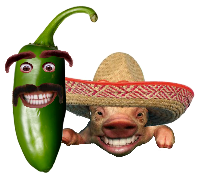 Add some green onion. 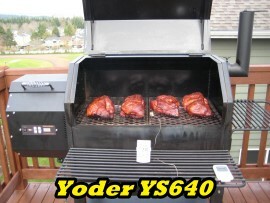 Once the turkey meat has browned, remove it from the smoker and let it stand a few minutes. Spoon the turkey meat into each pepper. Press down on the meat in each pepper so it is packed in there as best possible. Add meat until its flush with the top of the peppers. Place peppers on to the smoker grate and smoke @ 230 degrees until the peppers have softened. 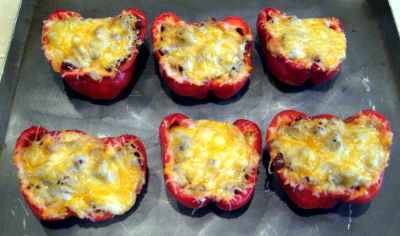 Once the peppers seem soft, add a big pile of cheese on top of each pepper. Continue to cook until the cheese has melted. be careful not to over cook the cheese as it will run off. 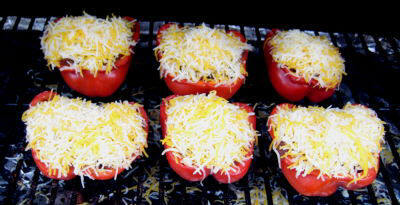 Once the cheese has melted remove the peppers from the smoker and let stand for 10 minutes. Serve hot with a nice side or two like coleslaw and corn bread. These go really well with my smoked breakfast Fatty.